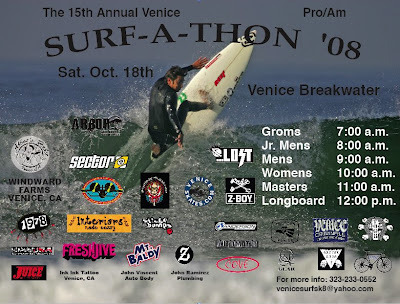 Once again the Surf-A-Thon was on. > 8:00am the groms were out in the water jostling for waves. > Tonan Ruiz 3rd John John Ramirez.